Rita’s Gourmet Goa, a venture in culinary experiences designed by Rita Shinde, is located in Dabolim which is a five minute drive from Goa International Airport. 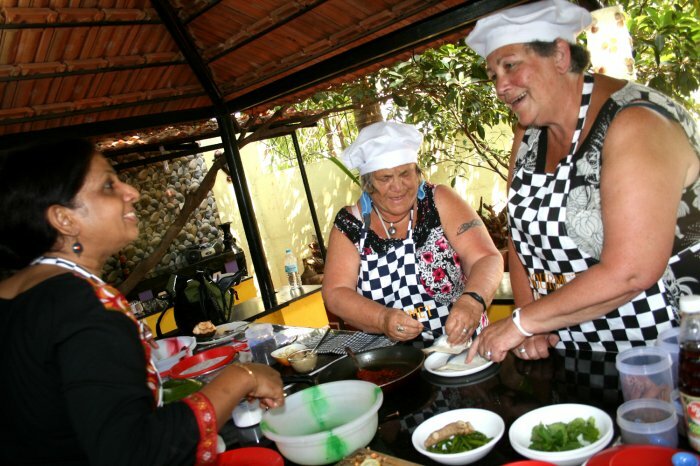 Born in Diu, brought up in Goa, Rita honed her skills in Goan cuisine from her mother. After marriage to Mukund, and with interactions with family friends from various states she got insight to various cuisines of different regions. Over the years, she improvised herself in the culinary field by attending various short courses in cuisines, cakes & desserts. 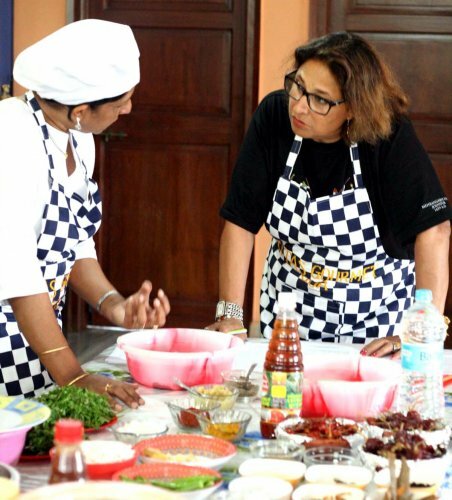 She entertained her family members and friends with delicious Goan & regional dishes which brought in much appreciation. 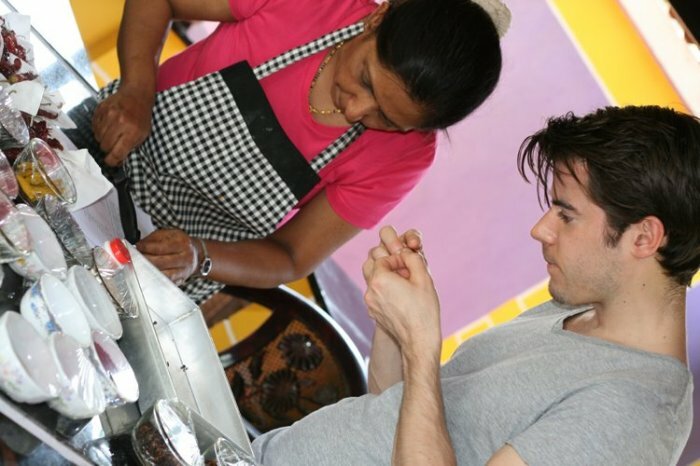 This incited the idea to start a small venture in the field of culinary. Being a working wife her dream of converting her passion to profession took a back seat. 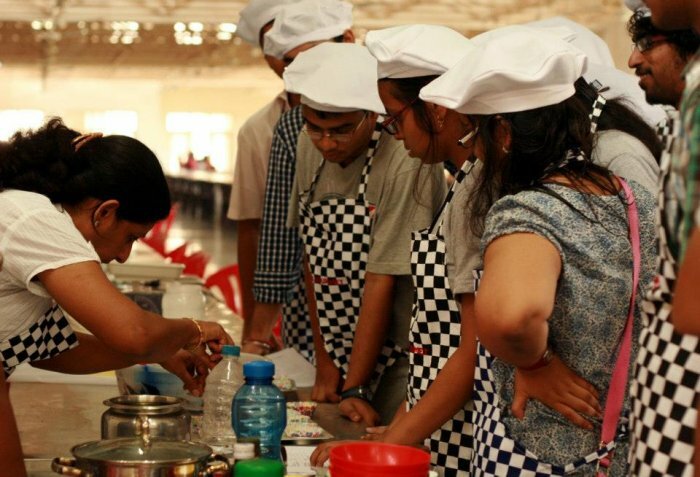 However, with motivation from her husband Mukund, who is a big foodie & a visionary with great culinary ideas, and children Anuj & Nikita, she decided to give up her well-set job and put her dream project into reality. She could finally combine her love for teaching and passion for food into a creative journey of the exciting world of culinary education. Thus, was born ‘Rita’s Gourmet Goa’. An outdoor garden Gazebo was set up amidst lush green trees interspersed with pottery & stone work, plants & herbs to make it the right ambience to commence the cooking classes with the aim to bring the joy of cooking to the classroom by encouraging her guests to experiment and have fun with the cooking process. 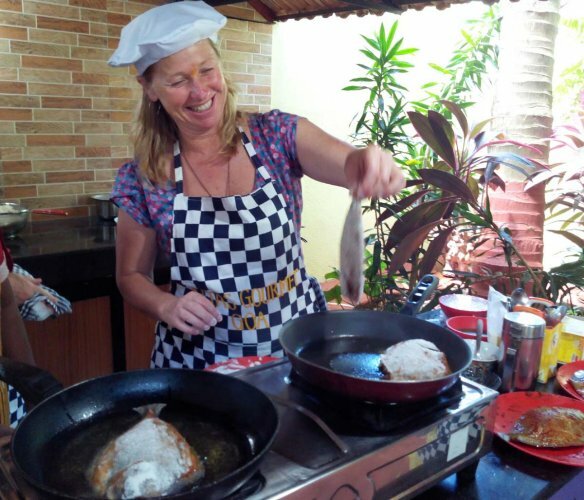 She imparts regular demonstration as well as hands-on Cookery Classes and has some engaging culinary Experiences to the travelers visiting Goa. She also offers short term Crash Courses and Comprehensive Courses to the students in different Cuisines, Desserts, Cakes, and Bread making. 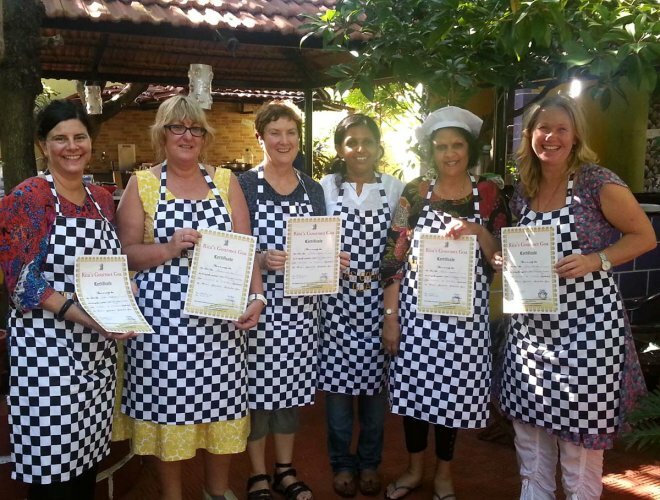 The individual recipes at Rita’s Gourmet Goa are designed to take home, skills and knowledge, which would inspire you to recreate your kitchen into an epicurean workshop. 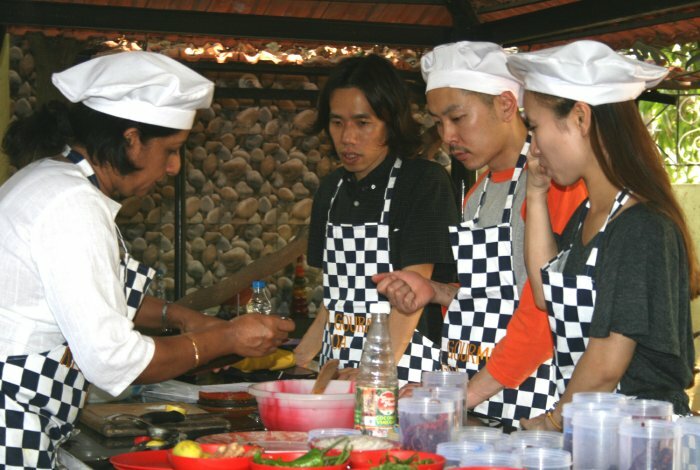 Over the years, with interaction with domestic and international guests new culinary experiences such Workshop in Indian Breads, Shore Culinary tour, Corporate Culinary Contest, Culinary and Heritage tour have being added in order to give the best. 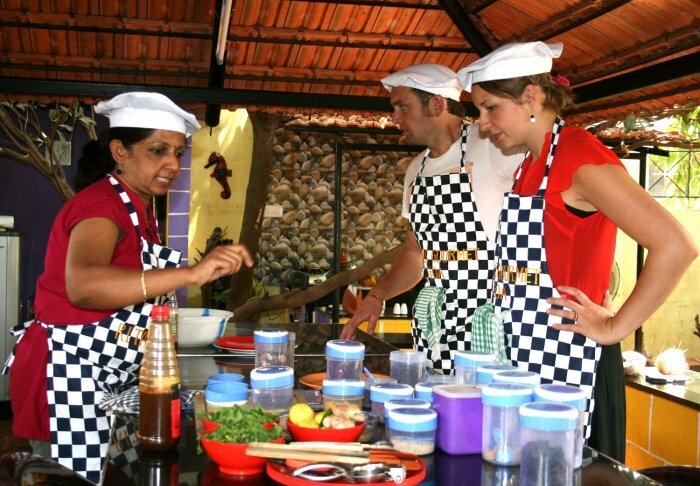 Rita’s Gourmet Goa has been visited by travelers from all over the world which include Japan, Switzerland, New Zealand, Australia, South Africa, USA, UK, Germany, Dubai etc. Upcoming chefs from Canada, France, Japan, UK and Scotland have been part of the Workshops. 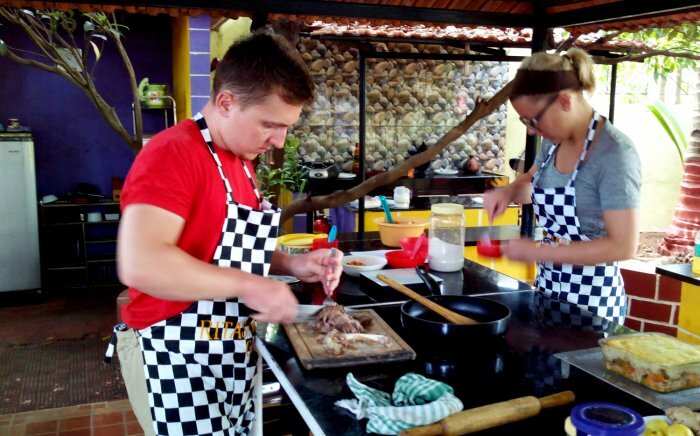 Well known culinary specialist John Gregory Smith the Writer of the book “Mighty Spice” from UK, Nici Wickes the Celebrity Chef, TV Hostess and writer of the book “Cook, Eat, Enjoy” from New Zealand have been part of the Cookery Classes. Rita’s Gourmet Goa was featured in Fox Life in an episode of ‘Twist of Taste’ anchored by Masterchef Vikas Khanna wherein Rita showcased Goan delicacy “Crab Xec Xec”. She has also featured in local Goa TV Channel 365. Her culinary tours are covered by French Lifestyle newspaper ‘Le Figaro‘ and so also in the inflight magazines such as ‘Spice Route’ and ‘Jetwings’. Rita’s Gourmet Goa has been awarded the “Certificate of Excellence” for the years 2015 to 2018 by Trip Advisor for excellent reviews posted by travelers. Rita Shinde was also one of the twelve participants who was chosen by Maggi Nestle as women who are inspiration through the power of cooking. The show ‘Maggi Kitchen Journeys – Kuch Acha Pak Raha Hai’ was aired on Zee Network – Living Foodz and anchored by actress Renuka Shahane in the month of September 2018.